Do you feel like the expert? Do you talk like the expert? Do you look like the expert? Success starts with YOU. If you want to up your business game, you need to up your personal game. Just showing up is not enough. 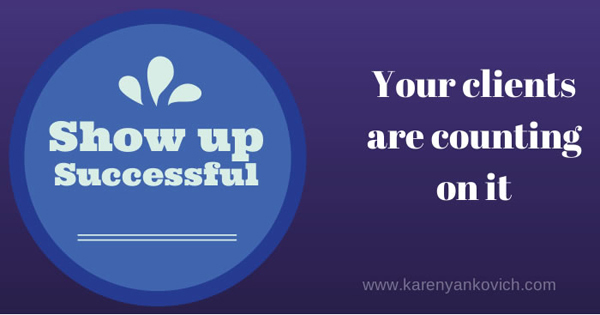 Are you showing up the way a successful business owner would show up? Make a great first impression BEFORE you meet them with a professional headshot. Look like an expert by using the general dress code (just a bit more formal) of your new client’s office/industry to plan your outfit. Talk like an expert avoiding “maybe” and “perhaps”. Instead use stronger words like “I believe” or “I would like”. Act like an expert. Your body language shapes who you are. Walk and stand tall, sit proud, and own your business expertise. I’m a Social Media Brand Strategist. I help my clients, like you, go big with their business goals using Social Media as the launchpad. Together, we work to be sure that your digital presence is expert-worthy. But just like everything in life, the rest is up to them. I challenge you to tackle one of the steps above in the coming week. Schedule an appointment for a quick photog session to get those headshots done. Start saving, or set aside time for a shopping trip, to buy that one power outfit that will make you feel amazing. Practice your pitch, in front of the mirror, in front of family, in front of friends. It doesn’t matter, just start talking. Or take 20 minutes and watch the fantastic and inspirational TED Talk by Amy Cuddy regarding body language and how two minutes of one specific practice can literally change your life. As always I would love to hear which item you picked and how you plan to make it happen – tell me so I can help along the way! Come join my new LinkedIn Group and lets talk about it. CLICK HERE to join. You know what Susan a power suit is different for all. Mostly, you need to look like you are successful. So well made, well fitting clothing. No yoga wear at a networking event. 🙂 Think about what a business idol might wear! Doesn’t have to be an actual suit! So true! I just finished another big event and I often feel like a conductor of an orchestra when I’m planning/producing an event which does make me feel like an expert in what I do. Part of showing up successfully includes trusting & leveraging your team to do what they do best (& praise, praise, praise them!). Completely agree Susie! Showing up successful means you are comfortable using that team also, that you recognize that being a leader means knowing what to do personally, and what to delegate. You know, it’s interesting, as I’ve been thinking about this lately. I read a blog about dress for success or something like that… and so, I’ve started to dress differently down at my store. Even planned the night before. I can tend to be casual because of where it is… but made a decision to do something different. Now, reading this, I will make sure i do. Perfect timing. The challenge will be in the weather and being outside. I think I will go buy a little heater after today and really go for this. Thanks Karen! I’ll let you know how it changes things. Elizabeth I love that you plan the night before! Your image is your brand, and you’re leveraging that now. Awesome! I am going to be a little provocative. When I was a Corporate Facilitator/Consultant at retreats we used to wear smart casual – in a corporate office – I did not want to wear the black and grey suits that women were wearing so they could “look corporate”, I chose to wear red, yellow, jackets with embroidery etc . I know the most amazing successful people who wear what they want to – and people want them no matter what they are wearing! My advice, be comfortable and professional – don’t try to be someone or look like someone who you are not! Great advice. Thanks, Karen! I can’t wait to check out this TED talk. I don’t think I’ve heard of this one yet! Its’a great one Michelle! Let me know what you think. So so fantastic Dana. I once wore pink khakis and great pastel pumps to an IT project management meeting where almost no one had met me before. Standing in a server room with a bunch of tech guys I think they almost fell over when I opened my mouth and they realized the chick in pink knew what she was talking about! It was a lot of fun. very helpful advice, karen. my husband shared that video with me awhile ago (but i never ended up watching it). thanks for the reminder (i’ll go do that)! Great April, I think you’ll like it! What would be considered professional attire for a health coach? Say if they were giving a speech. I guess it depends on a few things, your personal style for one. Quality clothing, well fitting. I’m not a stylist for sure!